NDA has been lifted on AutoCAD 2008 – so now we can talk about it. AutoCAD 2008 enables you to directly attach MicroStation V8 DGN files as an XREF underlay. You can also import DGN data directly into an AutoCAD drawing. You can also export DWG files to V8 DGN format. 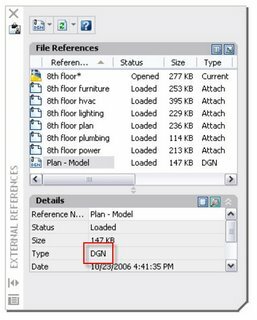 DGNATTACH, a new command, attaches a DGN file to your AutoCAD drawing. 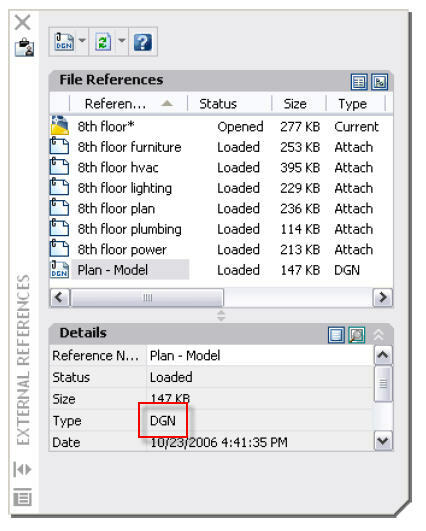 When you attach a DGN file, it is displayed in the XREF palette with other files. You can clip the display area of a DGN underlay using the new DGNCLIP command and you can adjust its properties using the Properties palette. i got very usefull information from this site! !